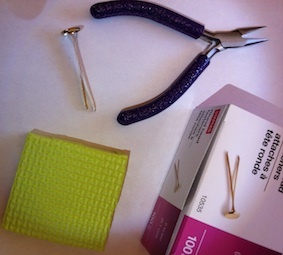 Before I made a stand to do beaded crown sinnets with, I first did it by hand and then made a foam tool. This is the story of the foam tool. Now, I have foam flooring tiles which I purchased from the local hardware store, so I have the raw material to make custom foam tools at will.